Positive: Premium design; solid workmanship; powerful hardware; high performance. Negative: Short battery life; relatively high price. Positive: Compact size; slim size; powerful hardware; good display. Negative: Low autonomy; high price. 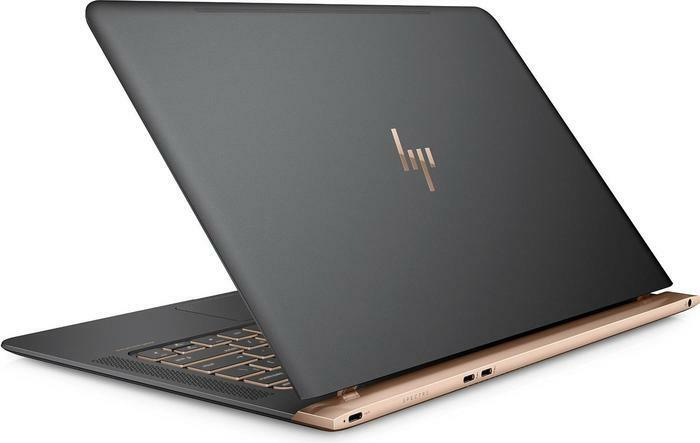 Model: The HP Spectre 13-Af008Ur is a unique and elegant laptop that combines an ultra-thin battery pack with a quick charge function and up to 10 hours of operation, with an eight-generation Intel Core i7 quad-core processor for outstanding performance. The device looks tiny and at the same time stylish due to non-standard white finish. The device is in an aluminum alloy casing, so it is both durable and lightweight. The laptop cover is smooth to the touch. 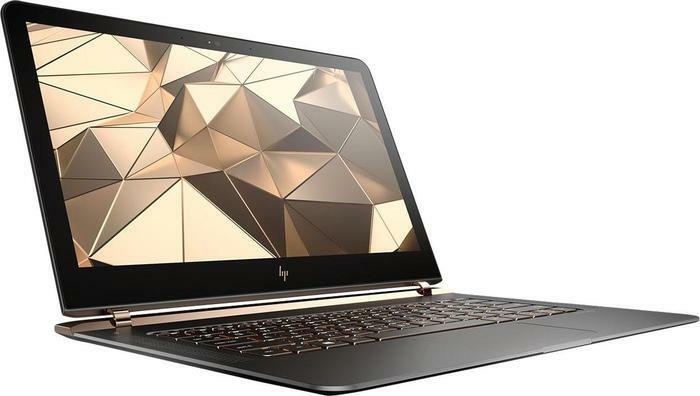 In the middle of the panel is the golden logo of HP which looks impressive. The top and the bottom of the device are connected by two small hinge loops. On three sides, the screen is surrounded by thin frames, except for the bottom frame, which is very thick. The keyboard is compact but comfortable. 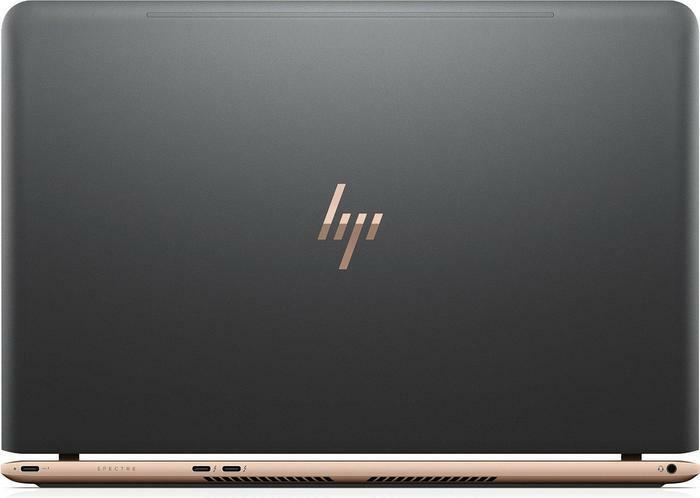 The HP Specter 13-af008ur has a compact size of 308 x 224 x 10 mm and a light weight of 1.1 kg. Due to such a thinness, it is not possible to place interfaces on the side faces, so they are all put on the back edge. As for the quality of the assembly of the device, it is good that the case does not creak or bend. The laptop features a 13.3-inch screen with Full HD resolution, which is covered by Corning Gorilla Glass NBT glass. The glass protects the surface from minor mechanical damage. The average brightness is 245 cd/m². The capacitive screen supports a 10-point multi-touch input and responds quickly to commands. The glossy surface of the display is expected to glare in direct sunlight, so it is better to work in the shade on the street. The IPS matrix provides wide viewing angles up to 178 degrees. 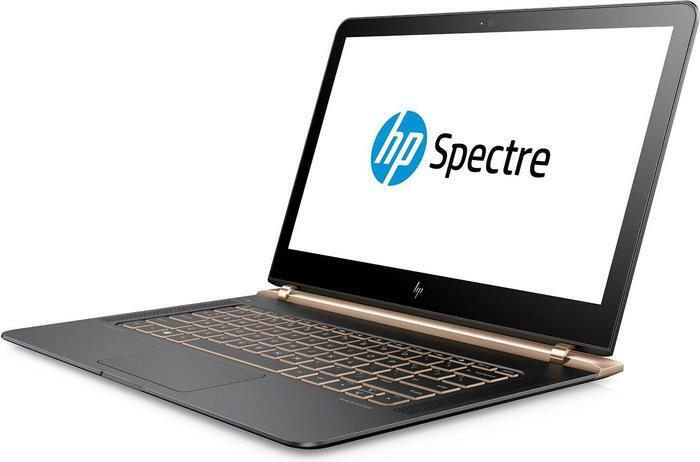 The HP Spectre 13-af008ur Ultrabook runs under the 64-bit OS Windows 10 Home. As for the processor, it features an Intel Core i7-8550U quad-core chip of the Kaby Lake generation, which clocks at 1.8 to 4 GHz (Turbo Boost). The processor supports the Hyper-Threading multi-threading technology. The integrated video adapter Intel UHD Graphics 620 accelerates from 300 to 1,150 MHz. The video card supports DirectX 12. This graphics processor will not support many modern games, but it performs well in everyday tasks such as launching programs and applications (Word, Excel, Photoshop and the like), web surfing, and audio/video playback. The laptop comes with 16 GB of the standard LPDDR3-2133 MHz. For storing content a fast 512GB SSD is available. A webcam with a resolution of 720p makes sharp, faint photos. However, for video chatting, the webcam capabilities are enough. 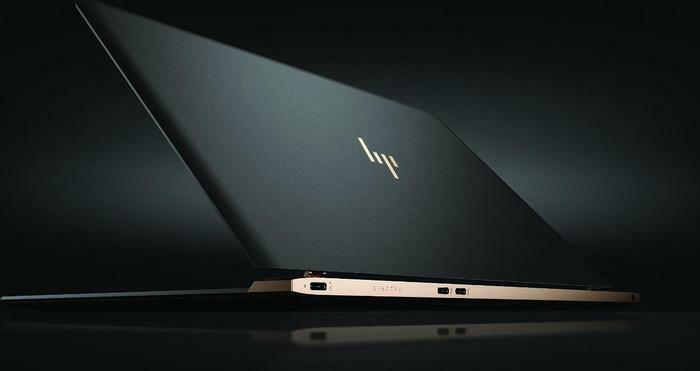 The laptop has four interfaces that are located on the rear: a universal USB Type-C Gen.1 port (suitable for recharging a laptop and connecting an external display), two Thunderbolt 3 ports and a headphone output. The Spectre is still one of the most amazing laptops out there. Its super sleek design, light weight and powerful internals make it a one of the best Ultrabooks out there. Its steep price and premium design pushes it beyond the reach of normals user who favors performance. As such it is probably targeted at business people who are always on the go.